For a kid, there is nothing better than summer break. No pencils, no books, no more teachers with dirty looks; for a kid, an endless summer would be the best thing in the world. Unfortunately for all the giddy children, summertime needs to come to an end. Right now America’s education system is on the ropes, and one of the ways Americans can help fix its education system is to implement year-round education. Some schools with year-round schooling utilize something called the “multi-track” system. Essentially, the school is divided into four or five different “tracks.” Vacations are staggered between the tracks in such as way so that while three out four tracks are currently in school, the other track is on vacation. When one track returns, another track goes on vacation. By staggering vacations, overcrowded schools can alleviate some of the stress of having too many students. To accommodate the flux in student enrollment throughout the year, some schools have created more flexible space within their facility. School architects have discovered using portable room dividers allows school districts to quickly change the look and use of any given space at any time. One company, Screenflex Portable Partitions, even offers clear room dividers to designate a separate space but also allows light and vision into the area. Students have found these clear dividers useful to use as dry erase boards during group discussions and team learning. Studies have shown the children from low-income families stand to benefit the most from year round schooling. Part of it has to do with the fact that shorter breaks help the children retain the information better, and part of it is that it helps keep the impoverished children out of trouble. While wealthier parents can afford summer camps and babysitters; many low-income parents have to leave their child home alone unattended while they go to work. Year round schooling keeps children in the books and off the streets. 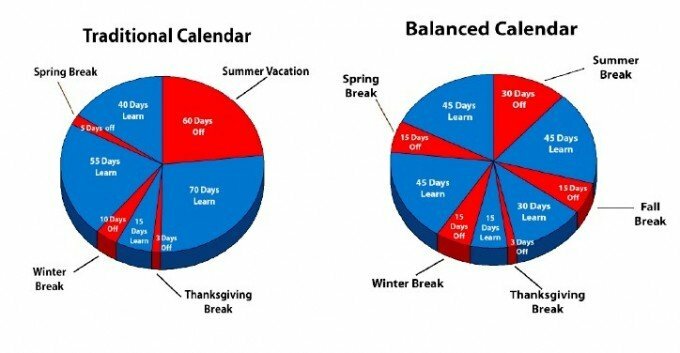 Currently, schools that are on the summer vacation model, usually have two breaks, summer vacation, and a handful of holidays. Although cumulatively there would fewer days off, the frequency of school breaks would be much higher. While year round schooling systems vary, typically schools usually take a two-week break quarter semester. Frequent breaks are good for both student and teachers as they help keep both from burning out early in the year. During the summer, many teachers have to take on second jobs to supplement their loss of income. This forces many to take lower paying jobs because there are very few education jobs during the summer. This leads to embarrassing and degrading moments for teachers when inevitably they have to wait on one of their students or their parents. If schools were open year round, not only would teachers not have to work a second job, but they also see an increase in their yearly income. A hundred years ago; most Americans still worked some form of agricultural jobs. Aside from high infant mortality rates, most people had a lot of children because they required help on their farms. Children would wake up before the sun, help with the crops, and go to school. Summer breaks were not designed for family fun and vacations; they were designed to allow children to help their parents with crops during a critical time in the agricultural season. There is an old and vile adage that says “Those that can, do. Those that can’t, teach.” It’s a hateful phrase that reveals our culture’s underlying disrespect for teachers. Many see educators as lazy people who get frequent breaks and have little responsibility. 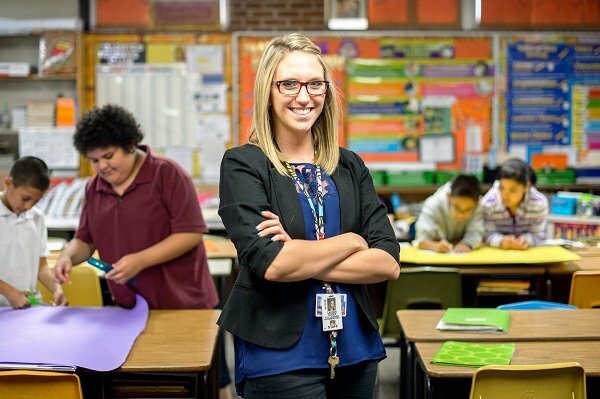 Year round schooling offers to change that perception of teachers. If people see teachers going to work every day like they do; people will stop thinking of them like part-time babysitters and instead think of teachers like full-time professionals. When you were going through school; did any of your classes finish the textbook? I know mine didn’t. 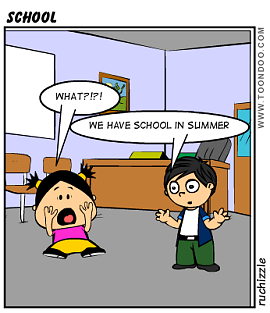 Those three months students take for summer break severely shortens the time a teacher has with their students. By switching to a year-round schedule, teachers will have much more time to go over lessons and help students. Critical lessons will no longer be shortened to fit the calendar. A by-product of the summer break is the dividing of classes based on age. If schooling was year round, there would be less distinction between year X and year Y. Instead of waiting for the next school year to start, more advanced children would be able to just go to the next level. Also, the constant learning environment takes away the emphasis of when the student started school and instead emphasizes skill and aptitude. Summers are not all they’re cracked up to be. While kids love summers, their brains do not. By going three months without using critical thinking, children are losing a good bit of what they have learned each year. At the end of the long break, teachers are finding themselves having to take extra time out of their day to re-teach their students the things they already learned the previous year. Three months might not sound very long, but for a child, it can seem like a lifetime. It’s all about scale. Think of it like this: Three months in the life of a ten-year-old makes up 2.5 percent of their life. For a thirty-year-old adult, 2.5 percent of their life is nine months. Could you just take off from work for nine months, never use your work skill in that time, and expect to work as well as you did beforehand? According to the National Association for Year-Round Education, the trend for year-round schools is growing. Do you think that having year-round schooling would be beneficial for students and the education system in general? Or is it simply too much? Is year-round school too much of a strain on the cost and maintenance of the building? Do schools need to look at creating a more flexible space by using room dividers to accommodate the change in use of the facility throughout an entire year?